1. Approved the appointment of Mr. Debashis Sarakar as a Nominee Director of IDBI Ltd in place of Mr. Pranab Kumar Das w.e.f. May 29, 2009. 2. Approved the Resignation of Mr. K Krishna Rai from the Directorship of the Company w.e.f. May 13, 2009. Tata Motors Ltd has informed that Mr. Ravi Kant the present Managing Director of the Company will retire from his Executive position on June 01, 2009 on reaching the retirement age of 65 years as per the Companys policy. The Board of Directors of the Company have decided to retain Mr. Ravi Kant on the Board as the Non-Executive Vice-Chairman of the Company. The Board has also decided to elevate Mr. Prakash M Telang who is the current Executive Director as the Managing Director - India operations effective June 02, 2009. Idea Cellular Limited has submitted to BSE the Notices of the Court Convened Meeting(s) of the Equity Shareholders, Secured Creditors and Unsecured Creditors of the Company scheduled to be held on June 25, 2009 and June 26, 2009 respectively for obtaining their approval to the proposed Scheme of Arrangement for Demerger of Passive Infrastructure of the Company in respect of its nine service areas to its wholly owned subsidiary Idea Cellular Towers Infrastructure Limited. 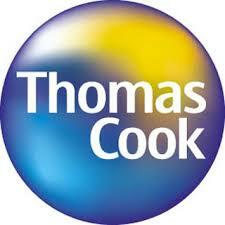 Thomas Cook India Limited (TCIL) announced that Mr Heinrich-Ludger Heuberg, Chief Executive Officer (CEO), Group Operations, Thomas Cook Group pic will take over as the new non-executive Chairman of TCIL while Mr, Udayan Bose will be stepping down as the non-executive Chairman of the company. Mr Heuberg said "I am delighted to have the opportunity of working more closely with the Indian business. We have a very ambitious agenda for its development, which will involve a greater level of cooperation with the rest of the Group''s international business. Aro Granite Industries Limited has informed that a meeting of the Board of Directors of the Company will be held on June 08, 2009, inter alia, to consider buy-back of equity shares of the Company under the SEBI (Buy back of Securities) Regulations 1998. 1. Issuance of Fully Convertible Warrants in the Company to the Promoter(s) on preferential allotment basis in terms of Chapter XIII of the SEBI (Disclosures & Investors Protection) Guidelines, 2000. 2. Appointment of Shri. Brajinder Mohan Singh as an Additional Director of the Company w.e.f. May 29, 2009. 3. Notice to convene an Extra-ordinary General Meeting of the shareholders on June 25, 2009. HSBC Mutual Fund has declared dividend under dividend option of HSBC Fixed Term Series 53 (HFTS 53). The record date for the same will be 3 June 2009. The fund house has decided to distribute 100% of distributable surplus available as on record date. The dividend will be declared under Regular plan. The NAV of HFTS 53 under regular plan was at Rs 10.2531 as on 27 May 2009. HFTS 53 is a close-ended income scheme, which seeks to generate reasonable returns by investing in a portfolio of fixed income instruments normally maturing in line with the time profile of plan. The markets today opened sharply higher on the first day of the June series on the back of positive cues from the global markets. All he sectorial indices are trading in green in the opening trade. The significant buying interest is seen among the Realty, Capital Goods, Auto and Consume Durables stocks. The second line stocks are also in demand in the early trade and have outperformed the benchmark index in the early trade as both the BSE Mid Cap and the BSE Small Cap index are trading with a gain of more than 2% each. However the investors are keeping an eye on the GDP figures to be announced later today. The BSE Sensex is trading up by 188.82 points or (1.32%) at 14,484.83 and the NSE Nifty is trading higher by 51.05 points or (1.18%) at 4,388.15. The BSE Mid Cap increased by 100.67 points or (2.04%) to 5,036.23 and the BSE Small Cap grew by 129.19 points or (2.22%) to 5,940.88. The Overall market breadth remains positive as 1595 stocks are advancing while 264 stocks are declining and the 30 stocks remained unchanged on BSE. 1. Based on resignation letters submitted by Mr. K Machida and Mr. M Sato, both Mr. Machida and Mr. Sato have ceased to be Directors of the Company with effect from May 28, 2009. 2. Mr. M Tabuchi, Mr. T Hashimoto and Mr. H Yamaguchi have been appointed as Additional Directors of the Company with effect from May 28, 2009. 3. Mr. Yutaka Watanabe, a Director on the Board of the Company, has been appointed as Whole-time Director of the Company with effect from July 01, 2009. V Guard Industries Ltd has informed that the Board of Directors of the Company at its meeting held on May 27, 2009 have appointed Mr. N Sreekumar, as the Joint Managing Director of the Company w.e.f. June 01, 2009 for a period of three years, subject to ratification by the members of the Company at the ensuing Annual General Meeting of the Company. The Company has also appointed Mr. A K Nair as an Independent director of the company. Further, Mr. K Vijayan, Wholetime Director of the Company has placed his resignation from the position of the Director of the Company from the close of business hours of May 31, 2009. The same is accepted by the Board of Directors of the Company. 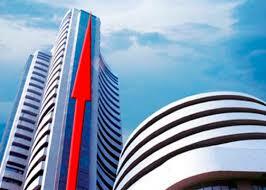 The markets today opened marginally higher and turned choppy ahead of the expiry of the F&O expiry today. The cues from the US markets were weak. 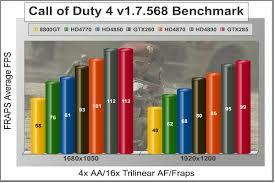 However the Asian markets are trading flat. The Realty, IT, Capital Goods and Meta stocks are gaining momentum today. While banking stocks are witnessing some selling pressure today. The second line stocks continued their upward rally as both the BSE Mid Cap and the BSE Small Cap index are trading with a gain of more than 0.6% each. The BSE Sensex is trading up by 137.34 points or (0.97%) at 14,246.98 and the NSE Nifty is trading higher by 27.40 points or (0.64%) at 4,303.45. The BSE Mid Cap increased by 30.82 points or (0.63%) to 4,928.19 and the BSE Small Cap grew by 50.62 points or (0.87%) to 5,848.36. The Overall market breadth remains positive as 1443 stocks are advancing while 505 stocks are declining and the 35 stocks remained unchanged on BSE. The exports of India may have fallen by a third in April due to the continuation of world-wide slump that hurt the demand overseas for local goods, said A. Sakthivel, president of the Federation of Indian Export Organisations (FIEO) on Wednesday. He also said that the job losses in the export sector may have reached 5 million for the year ended March. He also added that the body will seek government relief in terms of relief in income tax as well as more interest subsidy on bank loans and enhanced input tax credit, in the forthcoming budget.The recent government data showed that the exports of India fell by a third in March, pulling down the full year''s growth to 3.4 percent at $168.7 billion during 2008/09. 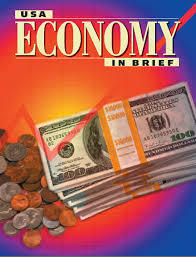 The contraction of exports have impacted the factory output and the overall economic growth. 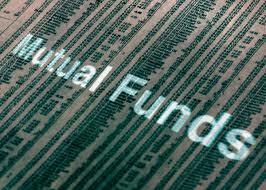 Mutual funds (MFs) sold shares worth a net Rs 62.60 crore on May 26, 2009, as against an inflow of Rs 387.80 crore on May 25, 2009. The net outflow of MF stood at Rs 62.60 crore on May 26, 2009 and this was a result of gross purchases Rs 798.60 crore and gross sales Rs 861.20 crore. The MFs were net buyer of shares worth Rs 494.30 crore in May 2009 (till 26 May 2009). The finance ministry is working on plans to chalk out a foreign road show calendar that aimed at attracting institutional investors to initial public offerings (IPO) and proposed follow-on public offerings (FPOs) of state-run firms- Oil India (OIL) and NHPC. The road show for OIL, led by inter ministerial group is expected to start in August, followed by NHPC. OIL is planning an IPO of Rs 1,300-crore while NHPC plans to raise an estimated Rs 2,500 crore. The government also wants to offload a stake of 10% in OIL while 5% in NHPC. Britannia Industries Ltd has informed that the Remuneration/Compensation committee of the Board of Directors of the Company at its meeting held on May 27, 2009 has approved the grant of 15,000 options to Ms. Vinita Bali, Managing Director under the Employee Stock Option Scheme of the Company. Each option granted will entitle the employee upon exercise of the options, to receive one share of the Company. 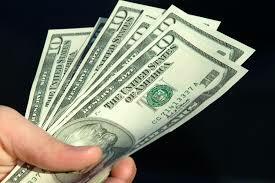 Vesting Period - A minimum period of one year from the date of grant Accordingly the options will vest on May 26, 2010. 1. PWD Dept Govt. of Tripura for construction of bridges over rivers under different packages for an approximate value of Rs 113 crores. 2. New Okhla Industrial Development Authority (NOIDA) for design, construction, operation and maintenance (for a period of 20 years) of Multi-level Automatic Car Parking facility at Sector-38, Noida for at approximate value of Rs 93 crores. The government is going to present the Union budget in the first week of July, said Finance Minister Pranab Mukherjee on Tuesday nad the focus will be on ''aam aadmi'' and some special attention to sectors like textiles, leather and gems and jewellery, which are being hit hard by the global financial meltdown. Mr. Mukherjee said “I would not like to have a second batch of vote-on-account... the budget will be presented in the first week of July.” The budget will have to be passed before July 31, 2009 failing which another interim budget would be mandatory. He said that the manifesto had proposed to hike the minimum wages under the National Rural Employment Guarantee scheme to Rs. 100 per day. In line with this, the issue of providing food security would get top priority, he added. Gammon Infrastructure Projects Ltd has informed that Rajahmundry Godavari Bridge Ltd, the special purpose vehicle incorporated for implementing the project for designing, constructing, financing, operating and maintaining a major bridge across the river Godavari connecting Rajahmundry and Kovvur in Andhra Pradesh has achieved the Financial Closure for its project with a consortium of bankers for an aggregate loan amount of upto Rs 566 crores. The estimated Project cost is Rs 861 crores. The Project is entitled to a CentralGovernment grant of Rs 118.6 crores and a grant of Rs 88.95 crores from the Government of Andhra Pradesh. The Project is on BOT basis for a period of 25 years, including a construction period of 3 years. Canara Robeco Mutual Fund has declared dividend under dividend option of Canara Robeco Interval scheme - Series -2 Quarterly Plan 1 for both retail and institutional plan. The record date for the same is set as May 29, 2009. The fund house has decided to distribute 100% of distributable surplus as dividend on the record date. The NAV of the retail and institutional plan was at Rs 10.1345 per unit & Rs 10.1567 per unit, respectively as on May 22, 2009. The investment objective of the scheme is to generate returns as well as growth of capital by investing in central and state government securities and other fixed income/ debt securities normally maturing within the maturity of interval plan. The markets today opened with a significant gap up on the back of positive cues from the US markets. The Asian markets are also trading higher led by overnight gains in the US markets. All the sectorial indices are trading in green in the opening trade. The most buying is seen among the Consumer Durables, Metal, Banking, Realty and Capital Goods stocks. The broader market indices continued the BSE Mid Cap and the BSE Small Cap index are trading with a gain of more than 3% each. The BSE Sensex is trading up by 330.22 points or (2.43%) at 13,919.45 and the NSE Niftyis trading higher by 97.20 points or (2.36%) at 4,213.90. The BSE Mid Cap increased by 147.86 points or (3.13%) to 4,871.95 and the BSE Small Cap grew by 190.45 points or (3.40%) to 5,799.11. The Overall market breadth remains positive as 1734 stocks are advancing while 227 stocks are declining and the 30 stocks remained unchanged on BSE. Reliance Capital is looking to come with the first-ever initial public offer (IPO) by an insurance company in India. For this purpose the company will take its subsidiary, Reliance Life Insurance public. The company is planning to divest 26 per cent in its insurance division through an IPO. In addition, the company will also initiate a strategic investor, according to a source. "Reliance Capital is looking to divest 10-26 per cent in its life insurance arm. This will be through a placement with a strategic investor as well by selling shares to the public. There will be a mix of a fresh issue of shares as well as sale of shares by the parent company. This way, funds will be infused both into the life insurance business and Reliance Capital. The process will be finalised in the next three-four months," said the source. 1. To issue and allot 15,50,000 equity warrants to the promoters and other investors subject to the approval of the shareholders and other regulatory authorities. 2. To convene the Extraordinary General Meeting of the shareholders on June 22, 2009 to seek approval for the said issue and allotment. 3. The issue and allotment of the warrants shall be as per the SEBI Guidelines. 4. To cancel 9,50,000 nos. of warrants issued earlier. Mumbai: Mr Kishorilal F. Jhunjhunwala has been appointed as the Chairman of Cotton and Allied Products Research Foundation (COTAAP), the research arm of CAI. Earlier he was President of Cotton Association of India (CAI). He has taken over his position from Mr Suresh A. Kotak. The CAI had recently been authorized by the Directorate General of Foreign Trade to issue the Certificate of Origin (non-preferential) for cotton. The rupee on May 25 closed lower by 18 paise to 47.28/30 a dollar due to month-end dollar demand from banks on behalf of oil companies. The forex dealers said that the rupee sentiments also got affected due to the firming up of dollar''s against major global currencies in overseas market. The rupee is also expected to remain under pressure due to monthly dollar demand from oil refiners. At the Interbank Foreign Exchange (forex) market, the rupee resumed lower at Rs 47.34/36 per dollar and moved in a range of Rs 47.21 and Rs 47.50 during the session. 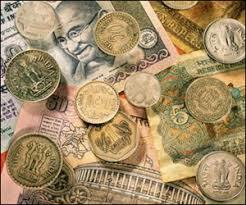 The rupee closed the day at Rs 47.28/30 against the previous weekend''s close of Rs 47.10/47.12. Religare Mutual Fund has approved to declare dividend under dividend option of Religare Quarterly Interval Fund-Plan B, debt oriented interval scheme. The record date of dividend distribution is 31 May 2009. The quantum of dividend will be 100% of distributable surplus as on the record date on face value of Rs 10.00 per unit. The NAV of the plan recorded at Rs 10.0663 per unit as on 22 May 2009. The investment objective of the scheme is to generate income by investing in a portfolio of debt and money market instruments. The markets today opened positive and suddenly turned volatile amid mixed cues from the Asian markets. The US markets are shut on account of Memorial Day observance. Trade on the Wall Street will resume from Tuesday. The BSE Mid Cap index is now trading with a gain of more than 1% and the BSE Small Cap index with a gain of more than 2.5%. The Consumer Durables, Metal, IT, Pharma and Realty are witnessing significant buying interest in the early trade. However, Auto and Oil & Gas stocks lost ground. The BSE Sensex is trading marginally up by 2.91 points or (0.02%) at 13,916.13 and the NSE Nifty is trading lower by 5.60 points or (0.13%) at 4,231.95. The BSE Mid Cap increased by 58.39 points or (1.19%) to 4,948.54 and the BSE Small Cap grew by 135.34 points or (2.34%) to 5,924.77. The Overall market breadth remains positive as 1773 stocks are advancing while 247 stocks are declining and the 16 stocks remained unchanged on BSE. 1. Raising of long term funds by way of issuance of Equity Shares/GDRs/FCCBs and/or such other Securities for an amount not exceeding Rs 1500 crore through Qualified Institutional Placement/GDR Offering/FCCB Offering etc. 2. Convening of an Extraordinary General Meeting of the Shareholders of the Company on June 22, 2009 for obtaining the approval of the Shareholders under Section 81 (1A) of the Companies Act, 1956 for the above referred matter. Manjushree Extrusions Ltd has informed that pursuant to Fresh Certificate of Incorporation consequent upon Change of Name issued by Registrar of Companies, Karnataka, Bangalore on May 21, 2009, under authority of Government of India, Ministry of Corporate Affairs, the name of the Company stands changed to MANJUSHREE TECHNOPACK LTD. The Commerce Ministry has proposed a $5-billion trade fund in order to enhance resources for the export sector. This facility is expected to come out in the first 100 days of the new UPA Government. According to sources, a fund may be created by the Reserve Bank of India for ensuring increased and opportune flow of export credit. "It is at a proposal stage. The idea is to create a fund that commercial banks could dip into for augmenting their trade finance activities," sources said. The markets opened higher and suddenly turned volatile.Further the Realty, Metal, Pharma and Auto stocks are also witnessing buying interest. However, IT, Oil & Gas and Power stocks lost ground.The BSE Mid Cap index is now trading with a gain of more than 1.5% and the BSE Small Cap index with a gain of more than 2.5%. The BSE Sensex is trading down by 13.37 points or (0.10%) at 13,873.78 and the NSE Nifty is trading lower by 17.75 points or (0.42%) at 4,220.75. The BSE Mid Cap increased by 71.47 points or (1.50%) to 4,827.15 and the BSE Small Cap grew by 150.42 points or (2.73%) to 5,663.58. The Overall market breadth remains positive as 1578 stocks are advancing while 287 stocks are declining and the 30 stocks remained unchanged on BSE. Tata Mutual Fund has proposed to declare dividend under quarterly dividend option for Tata Fixed Income Portfolio Fund - Scheme B2. The record date for the dividend distribution is set as May 28, 2009. The AMC has decided to distribute dividend up to 100% of the returns generated between February 28, 2009 to May 28, 2009 subject to availability of distributable surplus available on the record date as dividend on the face value of Rs 10 per unit. The NAV for the institutional investment plan was Rs 10.0935 while under the regular investment plan it was Rs 10.1100 as on May 21, 2009. Tata Fixed Income Portfolio Fund - Scheme B2 is an open ended debt that aims to generate returns and/or capital appreciation along with minimization of interest rate risk by investing predominantly in a portfolio of debt as well as money market instruments. 1. Reduction of share capital of the Company to write off the accumulated losses, subject to approval of the members in Extra-ordinary General Meeting. 2. To augment long term capital base of the Company by preferential allotment, subject to approval of the members in Extra-ordinary General Meeting. 3. Change the name of the Company to LS Industries Ltd subject to approval of the members in Extra-ordinary General Meeting. 4. Fixation of Extra Ordinary General Meeting to be held on June 27, 2009. The inter-bank call rate closed at 3.4 per cent-3.5 per cent as against Wednesday''s close of 3.2-2.3 per cent. There were no bids in the one-day repo auction under the liquidity adjustment facility (LAF). However, in the reverse repo auction, the Reserve Bank of India (RBI) received and accepted 48 bids for Rs 1,30,605 crore. 1. 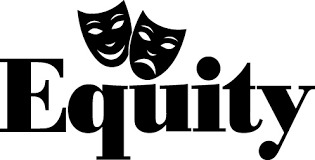 The Board has Forfeited 34200 partly paid up equity shares. 2. Statement in Lieu of Advertisement (SLA) under section 58 of the Companies Act, 1956 was approved. 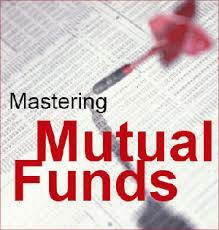 On 21st May 2009, Mutual funds (MFs) extended their buying for the second day as they bought shares worth Rs 97.40 crore. MFs' net inflow of Rs 97.40 crore on 21 May 2009 was a result of gross purchases Rs 1263.40 crore and gross sales of Rs 1166 crore. The BSE 30-share Sensex lost 324.12 points or 2.31% to 13,736.54 on that day MFs are net sellers of shares worth Rs 281.40 crore in May 2009 (till 21 May 2009). 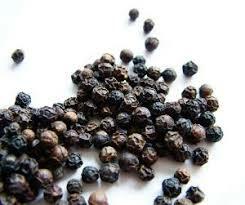 Kochi: On Friday, Pepper futures market witnessed slight fall for desire of buying support and tight supply position. "There is neither any demand nor any sellers. Everybody is waiting," market sources said. Despite the decline in futures, Indian parity has gone high to $2,900 atonne (c&f) as a result of strong rupee against dollar, which is a boom for the importers, they said. Other origins are constantly ruling at the same levels of previous days. On Friday, June contract on NCDEX declined by Rs 47 to close at Rs12,965 a quintal. July and Aug declined by Rs 30 and Rs 51 respectively to close at Rs 13,129 and Rs 13,350 a quintal. ICICI Bank-promoted software company, 3i Infotech, has started providing IT services to the media and entertainment industry in India. 3i Infotech will provide services related to consulting, systems integration and remote infrastructure management to companies in broadcasting media. The company has already been signed up by a new television channel for providing end-to-end systems integration services. It has appointed a business head who will be in charge of developing new customer relationships. According to 3i Infotech''s Web site, its media and entertainment services would cut across television channels, FM Stations, Internet Protocol Television (IPTV), Teleport etc. 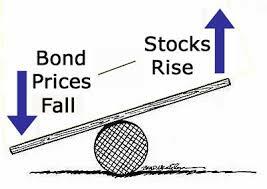 On 22nd May, bond prices slipped by approximately 30 paise, in a range bound market. The markets opened weak as there was not much buying activity. The prices declined ahead of the auction of Rs 15,000 crore of Government securities scheduled in the next fortnight, added the dealer. The trading volumes on the order matching system were at Rs 6,040 crore (Rs 5,770 crore). The 6.05 per cent-10-year-2019 paper opened at Rs 97.1 (6.45 per cent YTM) and fell to touch an intra-day low of Rs 96.81 (6.49 per cent YTM). It closed at Rs 96.9 (6.48 per cent YTM), against the previous close of Rs 97.29 (6.42 per cent YTM). The 6.07 per cent-2014 paper opened at Rs 100 (6.06 per cent YTM) and closed at Rs 99.9 (6.09 per cent YTM). The scheme recorded a NAV of Rs 10.1752 per unit under regular plan while Rs 10.1777 per unit under institutional plan as on May 20, 2009. Tata Teleservices Maharashtra Ltd has informed that the Board of Directors of the Company has passed a circular resolution dated May 14, 2009 approving the issue and allotment of 6,350 Equity Shares of Rs 10/- each for cash at par under the Companys Employees Stock Option Plan. The deemed date of allotment for the equity shares allotted is May 15, 2009. Mumbai: Commodity bourses have received permission from Forward Markets Commission to launch wheat futures, bourse officials said. "We have received permission to launch wheat futures and we will launch it from tomorrow," said Joseph Massey, chief executive of Multi-Commodity Exchange (MCX). Rival National Commodity and Derivatives Exchange and National Multi-Commodity Exchange officials also confirmed the permission, but didn't give a date of launch. 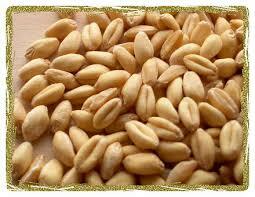 Government on Friday removed a two-year-old ban on trading in wheat futures.